Germany has done in Bavaria what Spain and Italy, in its Veneto region, have done; it has upheld the integrity of state borders. There is an excellent article written by Joseph E. Fallon, a research associate at the UK Defence Forum, titled "The Catalan Referendum, regional pressures, the EU, and the 'Ghosts' of Eastern Europe." Fallon writes that by doing what it's doing in Bavaria, "Berlin is violating international law on national self-determination. It denies to Bavaria what it granted to the 19 states that seceded from Yugoslavia and the Soviet Union. In fact, Germany rushed to be first to recognize the independence of Slovenia and Croatia." It did that, according to Beverly Crawford, an expert on Europe at the University of California, Berkeley, "in open disregard of (a European Community) agreement to recognize the two states under EC conditionality requirements." 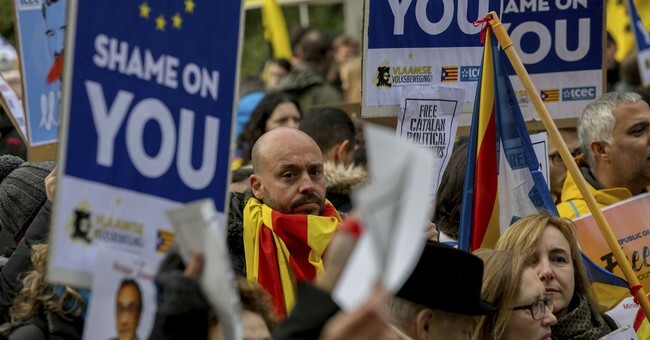 The secessionist movements in Spain, Germany, and Italy have encountered resistance and threats from the central governments, and in Catalonia's case, secessionist leaders have been jailed. The central governments of Spain, Germany, and Italy have resisted independence despite the fact that they are signatories to the International Covenant on Economic, Social and Cultural Rights, which holds that "all peoples have the right of self-determination. By virtue of that right they freely determine their political status and freely pursue their economic, social and cultural development." Fallon notes the hypocrisy of Spain, Germany, and Italy, as well as the entire European Union. Back in 1991, the EC -- the precursor to the EU -- "issued its conditions for recognizing the unilateral declarations of independence by states seceding from Yugoslavia and the Soviet Union." Fallon argues that these same guidelines should be applied to the states of Catalonia, Bavaria, and Veneto. Isn't it double talk for members of the EU to condemn independence movements today, given that they welcomed and supported independence movements for states that were members of the communist bloc? Catalonia, Bavaria, and Veneto are relatively prosperous jurisdictions in their countries. They feel that what they get from the central governments is not worth the taxes they pay. Each wants the central government off its back. They think they could be far more prosperous on their own. That should sound familiar. Some of the motivation for secessionist movements in Europe is similar to the motivation found in the Confederacy's independence movement of the early 1860s.